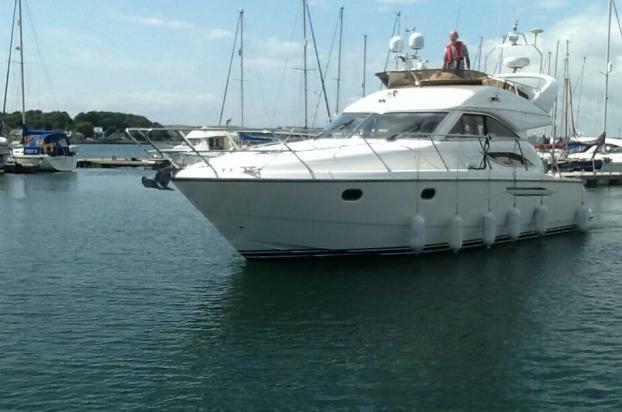 A carefully maintained example of the attractive and popular Princess 38 with an extensive service history. Well equipped with extras including bow and stern thrusters, leather upholstery, Raymarine plotters. converted to a double berth if required, settee opposite, and saloon table. Heads compartment with Vacu fresh sea toilet, wash basin and shower. Holding tank fitted. with teak laid flybridge, cockpit and bathing platform.